Jill Stark's Mental health system's focus on 'white middle-class Australia' costs lives' published by Fairfax media examines the tragic consequences of an over-stretched mental health system. It was nominted for a Good News report for it's focus on ethnic communities and mental health, a subject not often covered in mainstream media. Stark told StigmaWatch it was a story she had wanted to do for a long time. 'Many contacts in the mental health sector had been telling me that there are significant barriers to treatment for people from culturally and linguistically diverse backgrounds. The problem had been finding someone with lived experience to tell their story, which really helps to make the issue real for our readers,' Stark says. 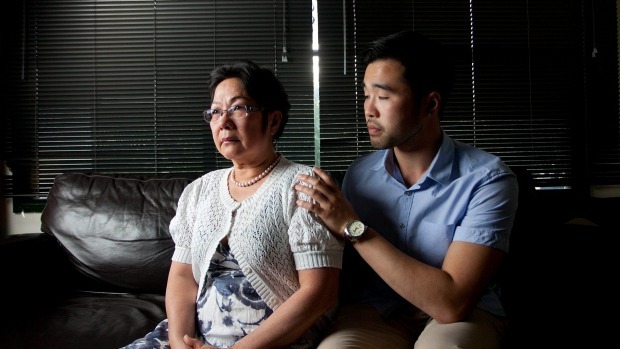 In the story Stark speaks to the family of Martin Vo, a student in Melbourne, who took his own life. 'I was contacted by a former classmate of Martin Vo who works in mental health and had become close to the family since his death. He had followed my reporting on mental health issues and thought I would be best placed to handle what was going to be a complex and sensitive story. 'For me, the most important thing with a story like this is ensuring the family are comfortable in revealing as little or as much as they are able to and are kept informed at every stage of the process on how the story is progressing. The Vo Family were incredibly welcoming, brave and trusting and invited me to their home to speak with me about Martin's life and tragic death. 'Their experience helped form the backdrop to a broader exploration of the problems facing people from culturally and linguistically diverse communities and the gaps in the system that are letting so many people down,' Stark says. In keeping with the guidelines on responsible reporting of suicide, Stark's prime focus of the article was investigating the wider causes for Martin's death, rather than sensationalising his suicide. Stark treated the Vo family with sensitivity and respect and minimised the use of information about the location and method of Martin's death in her reporting. 'As with any story on suicide I was careful not to give too much detail on method, although I felt it was important to document the last hours of Martin's life to highlight how this could have been prevented if the help he had sought just two days earlier had been readily available. 'The story was one of the most read articles on The Age website on the Sunday it was published, which I think is testament to the family's courage and to how important it is to shine a light on the failings of our mental health system so we might prevent future deaths like Martin's,' Stark says. To read the full article, please visit The Age website.